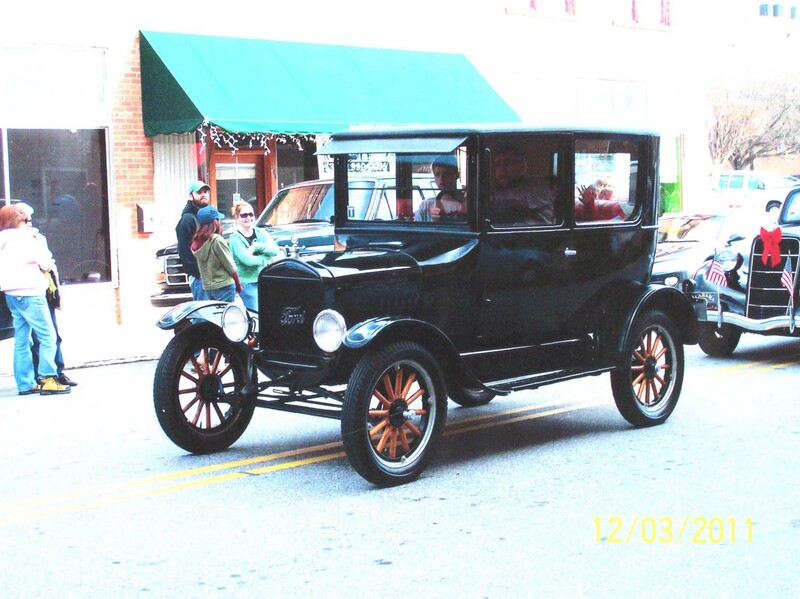 Model T Ford Forum: Overheating in Christmas parade? 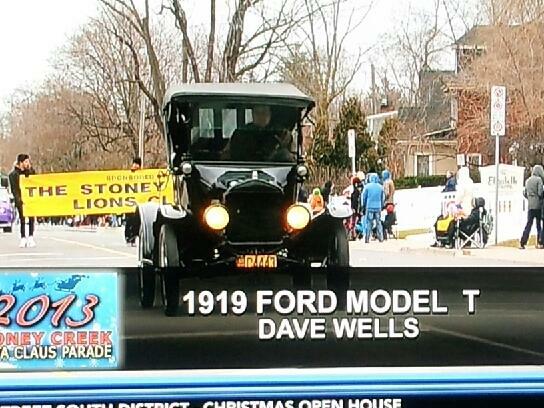 Model T Ford Forum: Forum 2013: Overheating in Christmas parade? Anyone have a overheating T in a recent Christmas parade? Nope. On the 4th of July yes. It you are saying that your T over heated and wonder why, here are some ideas. Running the mixture too lean or maybe a partial blockage of the main jet. Water level below the top of the radiator core. Working the engine hard and low speed, in other words lugging the engine. Restriction in the exhaust system. Lack of air flow through the radiator. Old radiator and poor heat transfer from the core tubes to the fins. Air temperature very hot, like 120�F+. No. I didn't say that my T overheated. My 25 is running without a water pump and didn't blow out a drop. But, i was really uncomfortable with the moto meter running up high in the circle in 50 degree temps. Also, my friends 14 was running a water pump ran the mercury up to the top of the circle and also didn't spill a drop. I was really glad the see the end of the parade. If it had been much longer, I was afraid that they both might have overflowed. And what if it had been 80 degrees instead of 50. As soon as we left the end of the parade headed home, the temps dropped really fast on both cars. My radiator has been hot tanked recently as has never overheated since. However, I am disappointed that it ran this warm on a cool day. I guess that i am expecting too much. I am just checking as to what experiences others have had recently in cool weather parades. Not on the Fourth of July in Dallas, TX. No water pump, recored radiator with flat tubes. Unlike some, I think the motometer can be a great indicator of your engines temperature. However I'm not sure its valid to compare motometer readings on two different cars. Might be interesting to swap motometers with your buddy and see if you get the same indications. Jim, How about a loose fan belt? Yes, a loose fan belt comes under lack of air flow through the radiator. The fan belt was tight, fan was moving air fine, i had a good brisk idle, rad was topped of, spark was around 4 oclock, mixture slightly enriched, ruxtell in low, and trans in low. The temp was very slowly climbing. If i could had thought of any other tricks, i would have tried them too. The parade route was about 3 miles, and i don't know if it had been 4 miles if it would have made it or not. And remember it was a 50 degree day with light wind. Do you have a thermostat? If you do, that could be causing the problem. I run in 4th of July parade up and down hills and have no heating problem. No problem in December either. Is it possible that your motometer is not giving a correct reading? If it was really hot you would be blowing steam and the water would be gurgling. No thermostat. It hasn't boiled over and runs cool on the road. I was just afraid that if the temp kept climbing, it would boil over. Maybe I'm overly concerned. I am feeling around if anyone has parade experience in cool temps and how did their car act. What kind of radiator and how old? The solder connection between the tubes and fins have been know to break down on older radiators. With out a good connection, heat transfer is poorer. Also round tube radiators are must less effective that more modern flat tube radiators. Flat tube radiator. It was boiled out two years ago. I know about the fins coming unsoldered, but that is not the problem on this one. I don't know the age of the radiator. Hey Roger have you changed your oil lately? Also, what was is the oil level right now? I have learned that it is a mistake to add a little extra water to the radiator because my T has a mind of it's own about what level it likes. Unlike a modern vehicle vehicles shutting the motor off during long stops is OK cause the water continues to thermal siphon. Since I don't have a starter the crowd applauses when I start it. If motometer nears the top and I don't want to turn the motor off - someone mists the radiator with a spray bottle and the temp drops quickly. Again we get applause! While on the parade subject - I only use low gear and put this in the brake handle slot so the car doesn't mistakenly slip into high gear. I had an over heating problem on my 27 and couldn't figure out why until it was pointed out to me that I had my license plate attached to the light bar and it covered about 1/4 of the radiator cooling area. 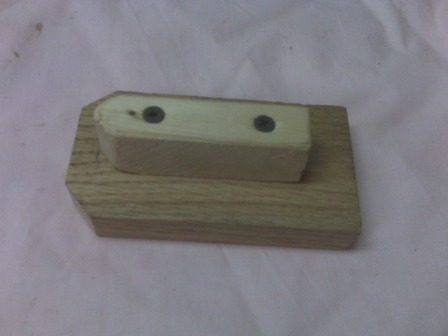 I got the correct brackets and remounted it below the crank handle. Perhaps for parades add a little extra pitch to the blades. I'm suspicious about your spark lever being at 4:00. That sounds a bit retarded to me (not you, the spark timing!) See reason # 2 in Jim's post, above. I also concur with Bud, that Motometers are probably not all that accurate. I suggest you, or anyone who worries about this problem, invest a very few bucks in an Infrared Thermometer. They're available at Radio Shack starting at $39.95, and from tons of other places as well. You simply point it at an object, and it tells you the temperature of the object. I use it to 'scan' the radiator, top-to-bottom and side-to-side, and also the engine block, and the water inlet and outlet. It tells me a lot about where the heat is coming from, and where it's going, and where it's being dissipated. I also use it to check the bearings and treads and sidewalls of my trailer tires whenever I make a rest stop. A bearing that's hotter than the others spells impending trouble, and a tire tread or sidewall that's hotter than the others means a low pressure. This is in impending blowout. Whatever you use it for, and there are lots of things, it's a great investment -- if for no other reason than to calm your nerves in the parade setting, by telling you that things are perking as they should. Oh, and it can also tell you whether your spark setting is optimum, under the conditions. Seems like to me, the spark advance lever range would be at approximately 11 o'clock retarded and about 7 o'clock for maximum advance. Also seems like 4 o'clock would be on the hand throttle side and just about wide open! Come to our parade, It was 3 degrees when we left for the parade and -2 when we got home, overheating not a problem. Mine boiled over in a Christmas parade. I removed the incorrect water pump and returned it to thermo siphon. Been in many a parade since, summer and winter. Never a problem anymore. I misstated the spark position. I should have said that the spark level was around 7 o clock position. I must have old timers disease.